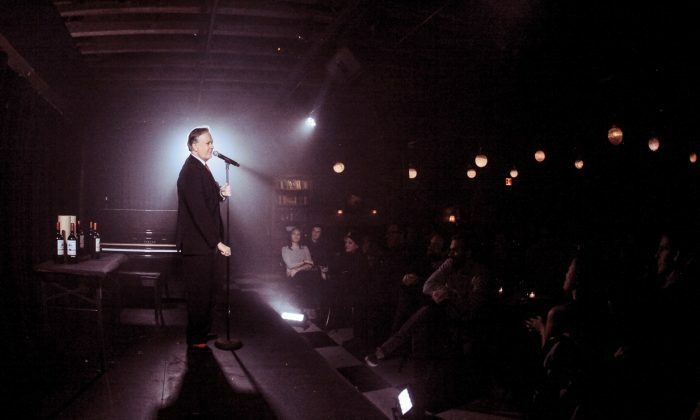 NEW YORK—”Expect the unexpected” are words to live by at The McKittrick Hotel. The location is home to various flights of fancy and intricate sleights of hand, where the most important connections are made deep inside the audience’s imagination. 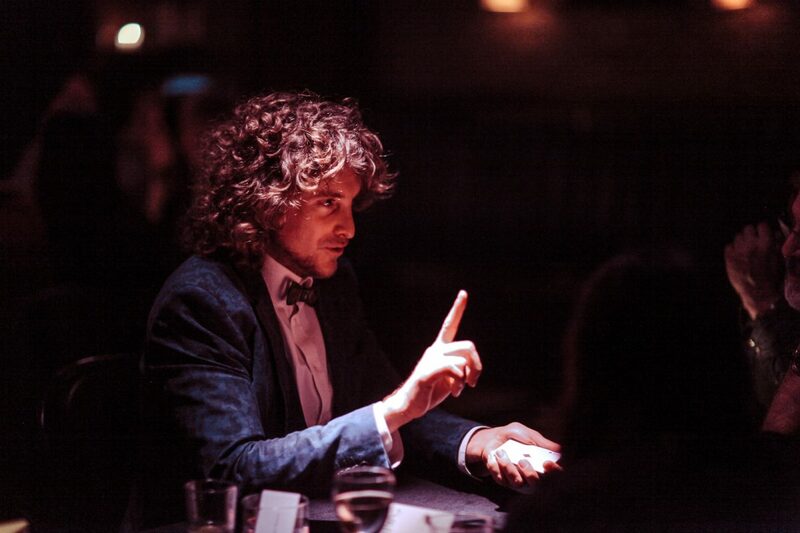 This is especially true of “Speakeasy Magick,” an evening showcasing some amazing examples of prestidigitation, now at The McKittrick’s Club Car venue. Acting as ringmaster for this thrice-weekly event is former carny and self-described con man and charlatan Todd Robbins. An amiable sort, he’s an expert in exploring and explaining the art of the con, while also demonstrating some rather interesting feats of his own. One of these involves a hammer, a six-inch steel nail, and part of the human anatomy. He also comes armed with some well-timed, very old puns that never fail to elicit a loud, albeit good-natured, groan from the audience. Going on the theory of “more is more” (at least when it comes to confusing and confounding those in attendance), Robbins has brought together over a half dozen of his fellow magical practitioners for this event. Rather than having each magician simply come up on the stage and, in turn, demonstrate their own particular tricks, in a wonderfully intimate turn, the magicians instead take part in what Robbins calls a “speed magic” process. 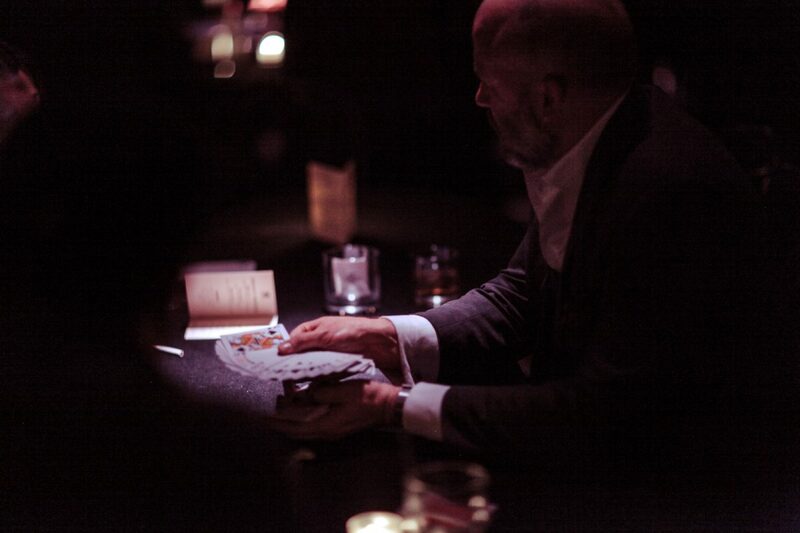 Each of them goes to one of the different tables where the audience members are seated and presents several sleight-of-hand offerings. This method enables the performers to establish their own connections with certain audience members—something essential for magicians to make the display of their talents a success. The prestidigitators also make sure to involve as many patrons as possible in their routines. Among the roster of performers the night I saw the show were, along with Mr. Robbins, Matthew Holtzclaw, Prakash Puru, Peter Samelson, Jeff Grow, Mark Calabrese, Jason Suran, Matias Letelier, and Eric Brown. There is also some more active audience participation at points. Robbins selects several people to come up on stage with him and take part in the building of a rather unique structure. Most magicians will tell you that when it comes to the old adage of the hand being quicker than the eye, the real key is misdirection. The performer has the audience focus on one particular area of the action while the real sleight of hand occurs unnoticed nearby. Yet even with this forewarning, not to mention the performers’ taking pains to explain how some of their tricks actually worked—before, after and during their feats—not one person at the table where I was seated, myself included, was able to figure out exactly how they did what they did. These feats include having playing cards seemingly change color or turn completely over of their own accord; and making objects appear, disappear, and reappear in new locations, albeit occasionally somewhat the worse for wear. There are also some very amusing representations of a few golden oldie carny routines, such as The Shell Game and Three-Card Monte. As the show’s title suggests, the entire atmosphere calls to mind a bygone era. Those entering The Club Car find themselves in a smoke-filled room with tables all about, and the area is illuminated by overhanging globes. Those with such a desire can avail themselves of the libations at the long mahogany bar on the far wall, or from the roving drink cart managed by the local “intoxicologist,” as Robbins calls him. Due to time constraints and the number of tables in The Club Car, you probably won’t get to see every magician perform. So you may just have to make a return visit to find out what you missed the first, or second, time around. Such a possibility is not a displeasing thought at all. The true pleasure in watching a demonstration of magic occurs when the audience members are so engrossed, they don’t even want to know how they were so completely fooled. This is continuously the case with “Speakeasy Magick,” a show offering nothing more or less than a wholeheartedly enjoyable evening of entertainment.